Consider this an intervention: You like to pretend you can tell the difference between Ronan and Ronin, but you can't keep it up. Let go of your Pride, the Official Handbook of the Marvel Universe was made for people like you! Where else are you going to get comprehensive biographies on everyone from the Punisher to Arcturus Rann? 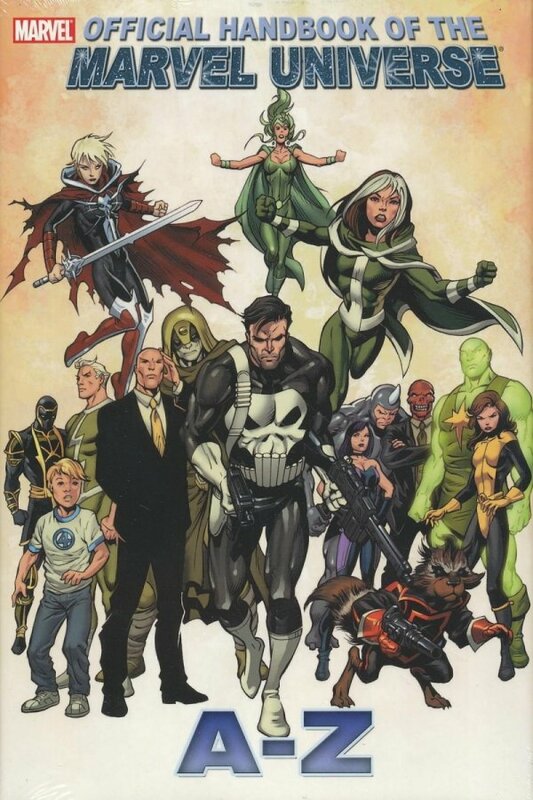 You get heroes like Polaris, Power Pack, Power Princess, Prodigy, Professor X, Prowler, Kitty Pryde, Psi-Force, Psylocke, Puck, Quake, Quasar, Quicksilver, Rage, Monica Rambeau, Rawhide Kid, Rocket Raccoon, Rockslide, Rogue, Runaways, Sage and Sasquatch! And in villains, there's Plantman, Psycho-Man, Puppet Master, Purple Man, Pyro, Radioactive Man, Reavers, Red Skull, Rhino, Sabretooth, Sandman and more besides! By the time you're quoting Proteus history by heart you'll be the envy of your peers!